This Steve Smyers-designed South course at Highlands Ridge is one of the best on the Citrus Trail. 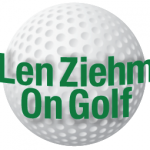 SEBRING, Florida – Now is the time for a golf upsurge in central Florida. At least that’s how Jim Kurtzeborn — spokesman for the newly-created Citrus Golf Trail — sees it, and I agree with him. The Citrus Trail is a collection of nine courses spread among the communities of Sebring, Avon Park and Lake Placid. They’re roughly 60 miles south of Disney World — Florida’s most popular tourist destination. The golf in the busy Orlando area near Disney is just fine, but the Sebring area may provide a better alternative. 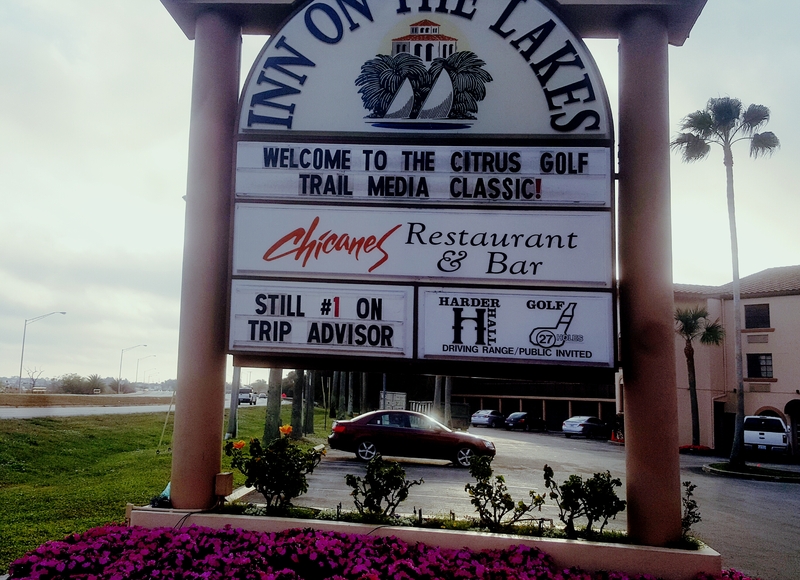 Golf on the Citrus Trail is more than good. 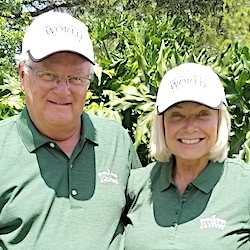 It’s also one of the most affordable golf areas in the country – not just in Florida — and for the real devotees of the sport (me, for instance) there’s the added lure of golf history tied in. Affordable golf, a nice variety of courses within close proximity to each other and a taste of golf history — all a short drive from other vacation attractions. That’s just what golf needs. 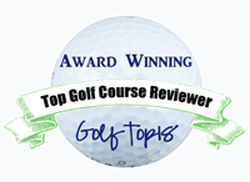 Ocean-front courses are nice, but hardly a requirement for golfing enjoyment. I’ve always been reluctant to dwell on price when reporting on golf destinations, given that fees are in a constant state of flux. They don’t just change by season. They can change on an almost daily basis. An inkling of the costs on the Citrus Trail, though, is significantly revealing. 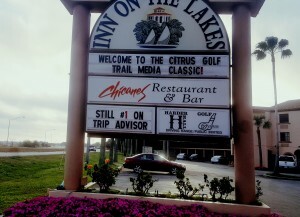 Inn on the Lakes is a hot spot for golfers visiting the Citrus Trail. One of the courses on the Trail – actually one of my favorites to boot – is Pinecrest Golf Club in Avon Park. Its general manager, Joe Staffieri, addressed the price issue in front of a media crowd in early December. Not bad, considering Pinecrest has a Donald Ross-designed course with challenging, well-conditioned greens that are less than a year old. Architect Ron Garl includes Deer Run as one of the over 100 Florida courses that he has worked on. 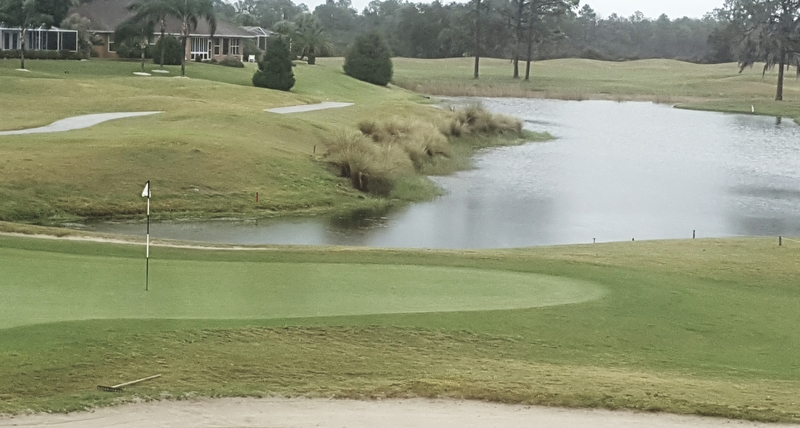 Pinecrest has one big edge on the other Citrus Trail courses, and it’s not the price. If for no other reason, Pinecrest is worth a visit for historical reasons. It was the site of the first televised golf event. That was back in December of 1959 when Dr. Cary Middlecoff defeated Pete Cooper in the final of an eight-player match play competition that was broadcast by NBC. The tournament had a then-record $171,000 purse and Middlecoff’s prize was $37,500. Ross, the legendary architect, was on site at least briefly in 1926 when Pinecrest was built. Now the course is 90 years old, and the area around it admittedly isn’t what it used to be. The facility included a big lakefront hotel until the 1950s when celebrities like Al Capone, Lou Gehrig, Babe Ruth and Franklin Delano Roosevelt were among the visitors. In the 1960s that started to change, as golf destinations were being built in Florida’s coastal communities. The Pinecrest Hotel eventually struggled financially and was torn down 10 years ago. The course, though, was revived with a renovation last summer in which the greens and bunkers were restored to Ross’ design preferences. There are no homes or condos bordering its fairways, as the course winds through orange groves and natural wooded areas. False fronts on all 18 greens at Pinecrest are a clear indication that it’s a DonaldRoss design. Pinecrest isn’t the only Citrus Trail course with a touch of history. Harder Hall, in Sebring proper, has hosted one of the world’s top amateur tournaments. The Harder Hall Women’s Invitational has been played annually since 1956 and its champions include such prominent names as Cristie Kerr, Natalie Gulbis, Brittany Lincicome, Morgan Pressel, Stacy Lewis and Charley Hull. The 2017 version of the tournament will be played Jan. 4-6. Its chairman is Carol Semple Thompson, who was the champion three straight years (1990-92). Two clubs on the Citrus Trail are 36-holers. The Highlands Ridge facility, in Avon Park, has its North and South courses. While both are championship courses, the South – which opened in 2012 — gives the Trail a taste of one of the current leading designers. 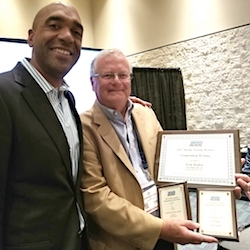 Steve Smyers, a former president of the American Society of Golf Course Architects, has a long resume of top layouts that include Isleworth in Florida, Lockenheath in Michgian and Olympia Fields South and Butterfield in the Chicago area. The North course at Highlands Ridge was designed by Dave Harman, who patterned it after Kauri Cliffs in Zealand – Golf Digest’s Best New International Course in 2001. This is the view you get of the Sebring Speedway from your hotel room at the Chateau Elan. Sun N’ Lake, in Sebring, also has two 18-holers – Deer Run and Turtle Run. 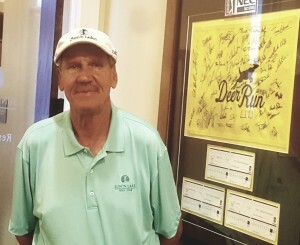 Deer Run opened in 1976 and popular Florida architect Ron Garl – he’s worked on 100 courses in the Sunshine State and about 250 world-wide – supervised a renovation six years ago. Its rating (73,7) and slope (134) from the back tees have made it a challenging tournament venue. Turtle Run, designed in 1999 by Charles Ankrom – also a Florida-based architect – provides a different challenge. It demands accuracy over distance. The courses taken together give Sun ‘N Lake a country club setting that pleases both club members and visitors as well. Placid Lakes, which opened in 1966, looks much newer than that because it underwent a complete renovation after suffering major hurricane damage in 2004. For lodging and dining there are a variety of options. Cowpokes Watering Hole will appeal to those looking for a nightclub-type atmosphere. Inn on the Lakes, in downtown Sebring, has a lakeside location near Harder Hall and offers gourmet dining at its Chicanes Restaurant. Chateau Elan, located beside Sebring International Raceway, has even more. In addition to its Esperante Restaurant and Hairpin Lounge, the convention center offers its visitors the chance to see a variety of auto racing events on the 3.7-mile course from the comfort of their hotel rooms. 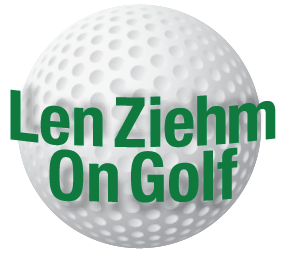 And yes, Chateau Elan also is offering golf packages. Where else could a visitor mix golf with a prestigious auto event like March’s 12 Hours of Sebring? That’s a combination that would be hard to beat anywhere.